Cheaters alert! 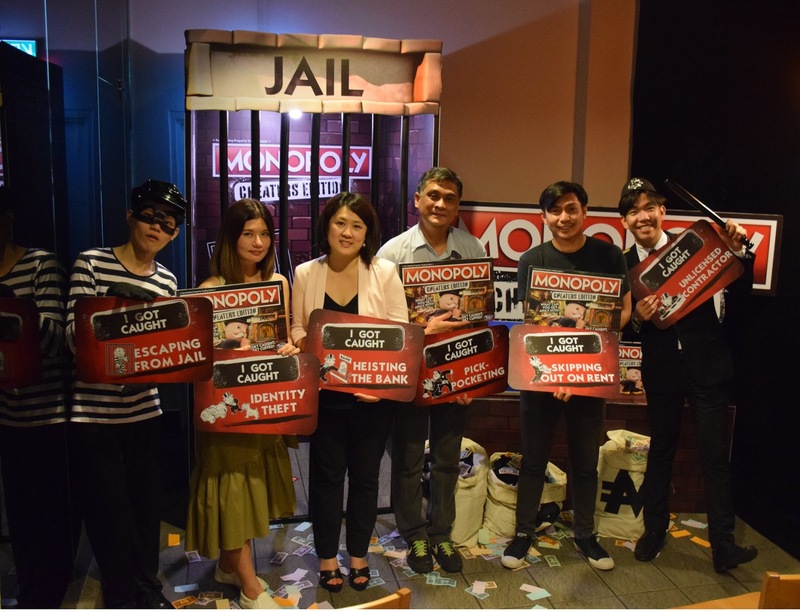 The highly anticipated Monopoly Cheaters Edition has finally landed in Malaysia. Bringing a twist to the classic Monopoly board game, this outlandish game allows players to challenge each other and get away with as many cheats as they can. Get caught, and you’ll be cuffed! Over the years, the classic Monopoly was known to have sparked feuds and arguments among players. A recent study conducted by Hasbro revealed that nearly half of game players attempt to cheat during Monopoly games and the game often ended in fights. This was due to players trying to cheat when the game was underway, using means such as sneaking extra cash from the bank or taking additional steps to avoid being jailed. Change up game night with this version of the Monopoly game where cheating is not only welcome, it's a must do! Cheating's officially part of the game. With a set of interesting game rules, the Monopoly Cheaters Edition requires players to follow, bend or break the rules in order to win the game. 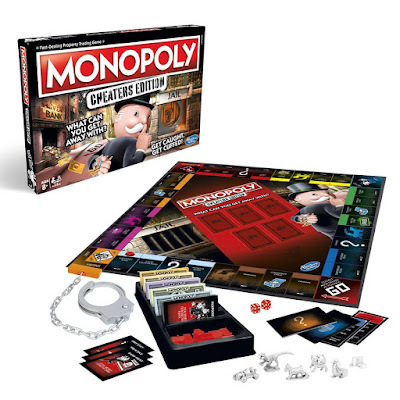 Unlike the traditional Monopoly board game, the Cheaters Edition rewards players who managed to get away without being caught. The goal of the game still remains that the player with the most money at the end of the game wins, however it may be tougher and more challenging to achieve since cheating is now incorporated in the game. This means that players can skip spaces, collect extra Monopoly money when passing GO, and even skip out on rent when the tenant is unaware. “It has always been our mission to create a game that is ‘fun to play, fun to watch and fun to share’ for everyone. I am thrilled to introduce the Monopoly Cheater’s Edition to all of you. This is definitely a game changer in the Monopoly space, and the key thing here is what you can get away with,” said Wu Hsiao Mae, Brand Manager of Hasbro Toy (Malaysia). Hasbro Toy (Malaysia) is a fully owned subsidiary of Hasbro Inc.
“This is a very interesting and challenging game to play with friends and family. Players will need to bring out their inner character persona to buy, sell, dream and scheme in order to win the game. I believe most of us have attempted to sneak out some extra cash from the Monopoly bank before or just skip our turn to avoid being jailed! 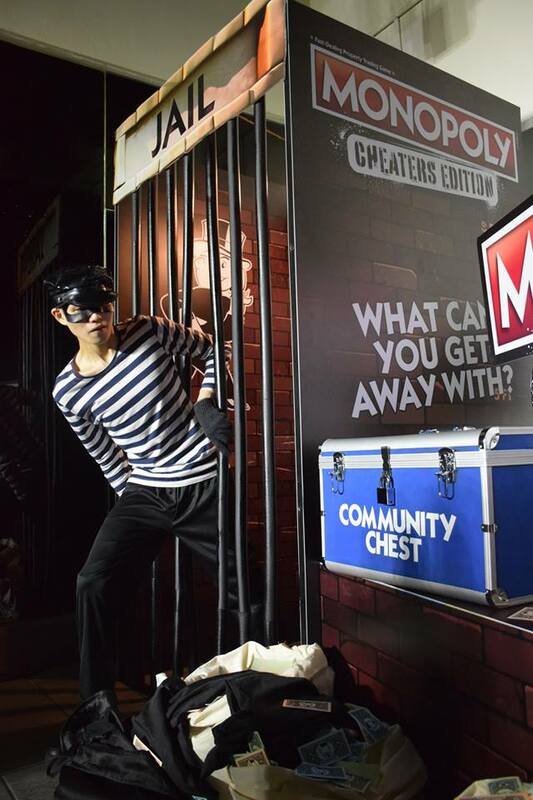 With the launch of the Monopoly Cheaters Edition, we’re empowering players to be as sneaky as they want to accomplish the mission that is stated on the cheat cards.” Mae added. 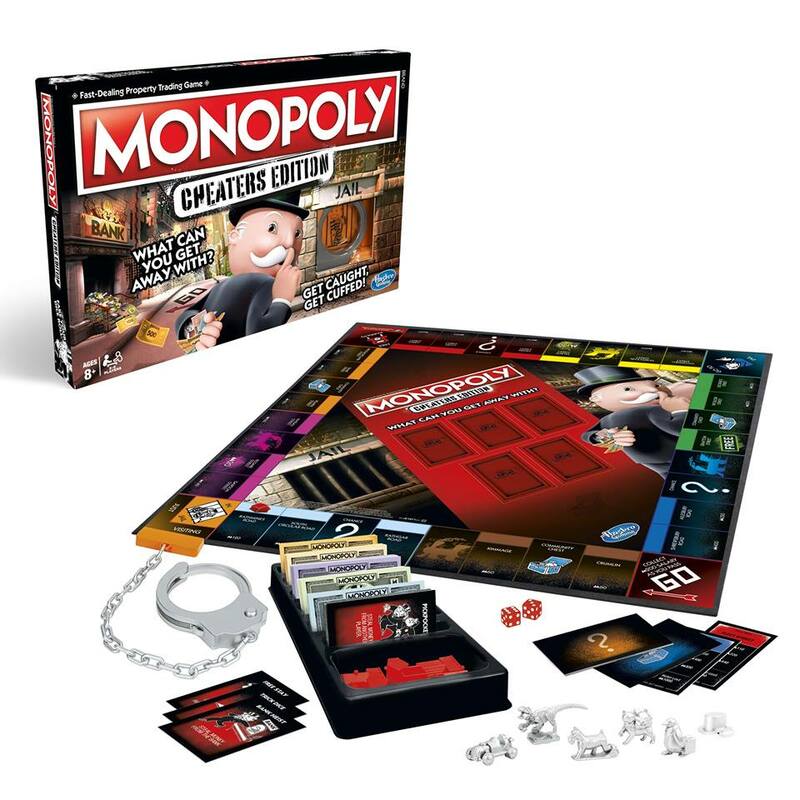 The Monopoly Cheater’s Edition comes with plastic handcuffs to punish those who gets caught cheating. In addition to the Community Chest and Chance cards, the Cheater's Edition also comes with a stack of 15 cheat cards which shows the player when and how to cheat.